2015 started with freemium fighting for its life. 7 months in and it’s still alive and well but the free debate rages on. It is clear that some form of free experience drives paid subscription uptake but it is also clear that too much free reduces the conversion opportunity. A one month trial is probably too little but a year of free is too much. 3 months is emerging as the free, or close to free, sweet-spot as evidenced by Apple’s 3 month free trial and Spotify’s 3 months for $1 a month. 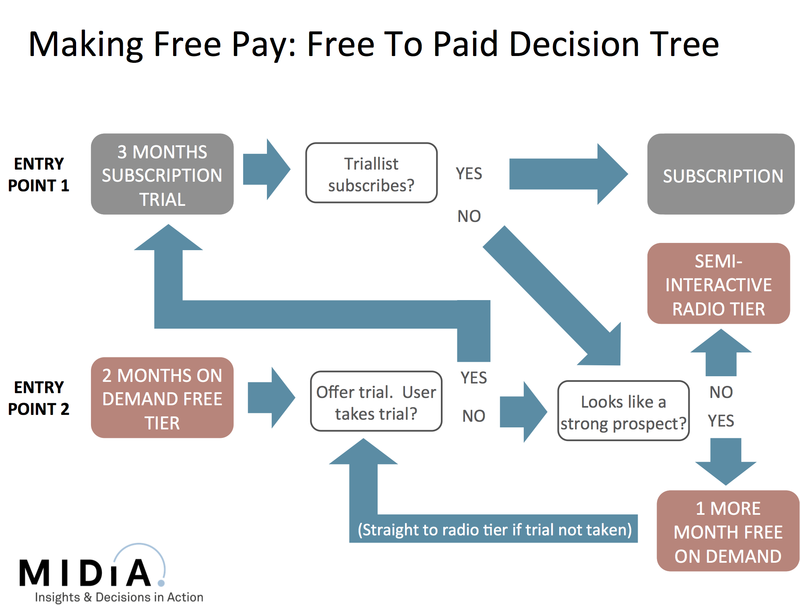 In fact Spotify’s cheap trial strategy underscores the constrained ability of unlimited free to convert to paid. Free is crucial to ensure the acquisition funnel is filled but a new approach is needed, one that is more sophisticated than simply stating it is all free or no free. One of the biggest concerns about free streaming is that it cannibalises sales. Just for the record, it undeniably does. At least on-demand free does. Free has always been part of the music industry, mainly in the form of radio. But the crucial difference with radio is that listeners do not choose what they are listening to. 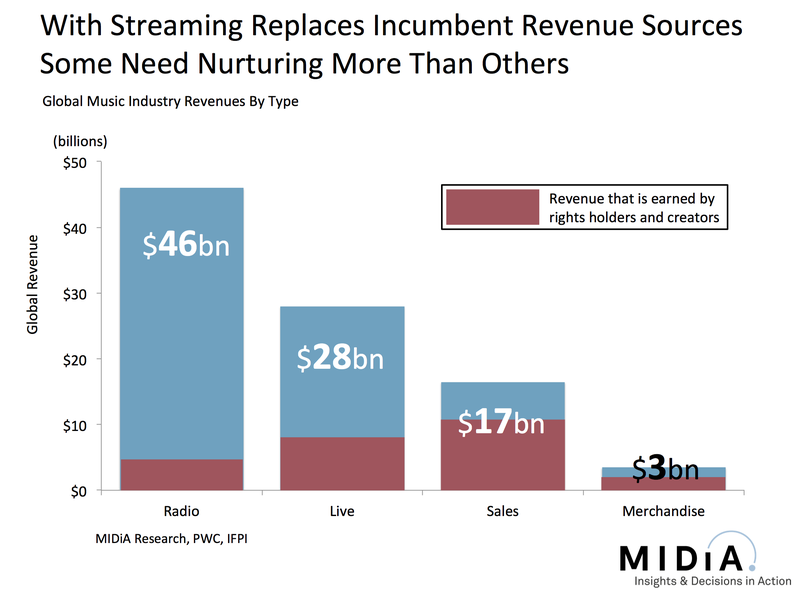 Free streaming needs to start behaving much more like radio, to follow the Pandora model. Crucially it needs to compete head on with traditional radio. Radio is a $46 billion industry globally yet less than 10% of that flows back to labels and publishers, and then on to artists and songwriters (see figure). By contrast the majority of music sales flow back to rights holders and creators. So the music industry needs to optimise streaming to cannibalise radio more than it does sales. To make the majority of free streaming only partially on demand. The number one streaming metric that the music industry should be paying attention to is the share of total radio listening time that Pandora accounts for. The more that that increases, the more direct revenue flows into the industry. But at the same on-demand time free streaming’s role in converting subscribers must be protected, albeit within very strictly defined parameters. Subscribers have two key user journey entry points: 1) a trial 2) free. Streaming services need to make better use of their analytics (which are increasingly sophisticated) to identify which free users to invest time and effort into trying to convert and which to side line. Neither Spotify or Deezer is in the business of free music, they are in the business of subscriptions and simply use free as a marketing tool. So they have no reason to cling doggedly to free users that show no sign of converting. Instead after a sufficient period of free music has been offered users should be pushed to subscriptions or onto a radio tier (see figure). There is no business benefit to the streaming services nor rights holders to have perpetual on demand free users. The assumption that free music is some sort of internet right is symptomatic of the internet’s growing pains. In terms of market development we’re probably at the adolescence stage of the internet, the stage at which carefree childhood starts to be replaced by responsibility and consequences. We’re seeing this happen right across the internet economy, from privacy, data, free speech, jurisdiction etc. Because music has been free online for so long consumers have learned to accept it as fact. That assumption will not be changed any time soon, and try to force the issue too quickly and illegal services will prosper. Of course YouTube is, and always has been the elephant in the room, buoyed by the schizophrenic attitude of record labels who simultaneously question its impact on the market while continuing to use it as their number 1 digital promotional channel. While the tide may finally be beginning to turn, don’t expect YouTube to go anywhere any time soon. But should the screws tighten do expect YouTube to stop playing ball. As they have made clear in various rights holder conversations, an onside YouTube, warts n’ all, is far more appealing prospect than a rogue YouTube. But implicit threat or otherwise YouTube must be compelled to play by the same rules as everyone else. As I’ve said before, YouTube needs to look more like Pandora. Competing against radio needs to become the modus operandi of streaming. Only when free music on the internet evolves to more closely resemble radio will the industry be able to fix the apparent paradox of increased consumption translating into reduced revenue. In the thankfully long gone days of DRM downloads it could be fairly said that ‘music was born free yet everywhere it is in chains’. Now it is free of DRM and, for most consumers, of price also. Of course the majority of consumers have always spent most of their time listening to music for free via TV or radio. But the internet transformed free into something that was every bit as good as the paid for product. So yes, most people have always listened to music for free most of the time, but they listened to what broadcasters decided they would listen to. In the old model free music was something that would sate the appetite of the passive fan but was not be enough for the dedicated fan. Free music thus very clearly played a ‘discovery’ role for the core music fans. On demand free though has changed the equation entirely. For many consumers the free stream is the destination not the discovery journey. So 50 million YouTube views is no longer a marketing success but instead x million lost sales or paid streams. For younger consumers the picture is particularly stark. 56% stream for free, 65% listen to music radio and 76% watch YouTube music videos. Compare and contrast to over 25s where the rates are 35%, 47% and 76%. In short, free is more likely to be something that drives spending among over 25s because it is predominately programmed while among under 25’s it is less likely to do so because it is on demand. Set the objectives: One of the problems with free is there is too little clarity around what purpose it is meant to serve. And this is because it is simultaneously serving multiple purposes: to monetize the masses (ad supported), to drive sales (discovery), to drive subscriptions (freemium). All three are worthy goals but unchecked each one also competes with the other. A consistent industry vision is needed. Programme more: Free has a massive role to play in digital music, but it needs to better targeted. A super engaged music fan should not be able to sate their on demand appetite on free. In short, free music needs to be less on demand and more programmed. That is not to say YouTube or Soundcloud need to become Pandora, but they do need to explore meeting somewhere midway. Use data to segment: It is not enough to simply say users can choose between different services, they services need to better use their data to determine who gets what experience within them. Someone who watches 20 YouTube music videos a day is clearly a target for a Music Key subscription. That person should not just be marketed Music Key, s/he should also have their free experience progressively dialled down to push them towards it. Fix the models: Pandora is a highly viable ad business that happens to have a radio service built on it. There is a world of difference between Pandora’s ad business and Spotify’s. Spotify’s deals with the rights holders essentially preclude it from making free a viable business, which is fair enough. But it does create the unfortunate vicious circle of there never being a case for Spotify investing enough in ad sales infrastructure to drive up CPMs enough to boost ad supported revenue. Labels and publishers need to think hard about what tweaks may need to be made to business models if they want freemium services to be strong enough financially to drive a vibrant subscription market. Not fixing the models will only skew the market to the companies with ulterior business models who can afford to perpetually lose money on free. Don’t give up on free fans: A generation weaned on free music will grow up craving more free music. Just because free dominates younger consumers’ digital lexicon now does not mean that it will inherently always do so. Don’t give up on the lost generation of music consumers with the default position of free. Strike the right balance: This is simultaneously the most important and most difficult part to get right. YouTube, Soundcloud and Spotify’s free tier are legal alternatives to piracy. Turn back the dial too much on the legal sources and illegal ones will flourish again. However the fact that more than a third of free streamers use stream ripper apps to turn streams into downloads means that the distinction between licensed and pirated has long since blurred. Nonetheless the balance needs to be better struck, probably somewhere equidistant between YouTube and Pandora. Ultimately it will require lots of real time honing and perfecting to get the right mix. Free music will always be part of the equation and it has become a key part of the music industry’s armoury. But there is a difference between a controlled burn and an out of control forest fire. The freemium wars have already accounted for some high profile scalps and more controversy will follow. 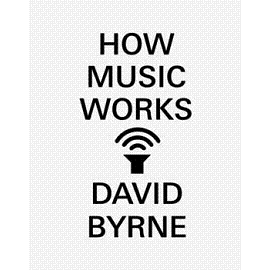 Free will remain a crucial part of the landscape but it is time for a reassessment of its role and that must encompass all elements of on demand free, not just Spotify. In my Future Music Forum keynote last week I discussed some Spotify metrics which were picked up by Paid Content and have stirred up a bit of a debate. Here is a little more context to those numbers. 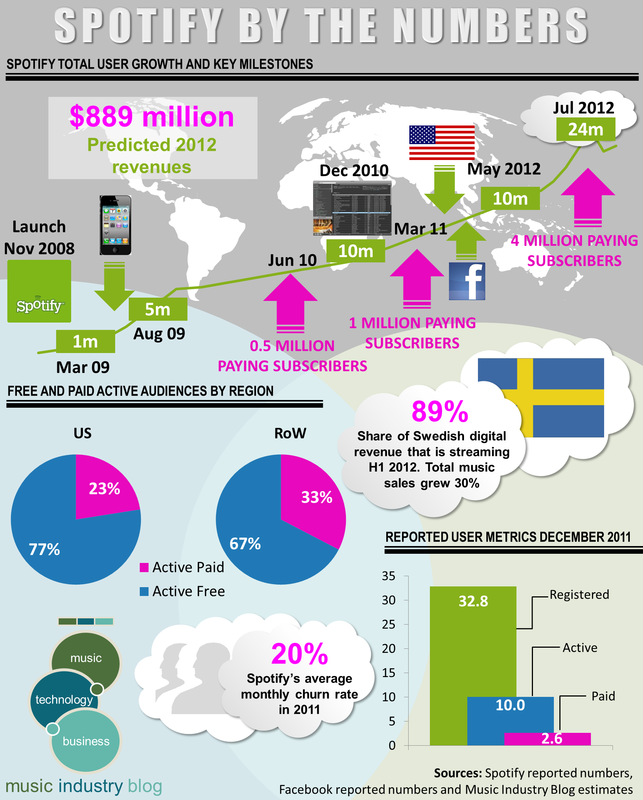 Spotify’s end of year accounts for 2011 reported a total of 32.8 million registered users. In December 2011 Spotify reported 10 million active users on its developer blog. In March 2011 Spotify reported 1 million paying subscribers, representing 15% of active users, which put the active user count at 6.7 million. In September 2010 Spotify held a press event to announce 10 million registered users. 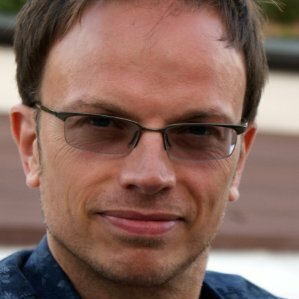 The headline numbers give a ‘gap’ of 22.8 million between registered users and active users at the end of 2011. Using all of the reported numbers and applying flat rate growth assumptions for intervening months we can calculate the total number of active and registered user gains throughout calendar year 2011 (see figure 1). All of which gives approximately 1.8 million new registered users per month but only 400,000 active users per month. Now of course there will be monthly and seasonal variations in those numbers so the exact count will be different for each calendar month. Also many of those 1.4 million new monthly inactive users (i.e. the gap between new registered and new active) may well become active later in the year. But the headline trend remains that Spotify has to gain a lot more users than it holds onto (or at least did in 2011 – though I would expect similar metrics to apply in 2012). None of this is necessarily a reflection of a flawed business model for Spotify. In fact, in my view, it reflects positively. Let me explain. Spotify’s business is all about selling premium subscriptions. That’s where the money is for Spotify, labels, publishers and artists alike. The free tier of its business is simply a marketing funnel. Ultimately it doesn’t actually matter that much how many of those free users stay on board as free users, what matters is how many convert to paid. In fact, it benefits Spotify if those users who have no intention of paying churn out early on from the free service as it means less cost to Spotify’s bottom line. As challenging a path towards profitability as Spotify may find itself on, it would be a dramatically more difficult road if all of those 32.8 million users were active. So Spotify’s business model and margins actually benefit from the majority of those new free users churning out of the service early, allowing Spotify to focus on migrating the remaining engaged free users to paid. All in all Spotify has brought a huge amount of value to the digital music market and has achieved many credit-worthy milestones (see figure 2). But as much sense as the free-user-leakage makes sense to Spotify’s business model, it does raise challenging questions about the streaming model more broadly. For so many users (two thirds of Spotify’s 2011 total) to effectively say “no to free” indicates that streaming audio, even when free, does not resonate strongly enough with mass market music fans. There are multiple potential reasons that Spotify free users churn out, such as: usage caps, advertising, being PC only, not being able to burn to CD, even just being a stream rather than a download. Many of those can be fixed with a 9.99 subscription, but the simple fact is that most consumers do not spend that kind of money on music. 9.99 is actually the average monthly spend of the top 20% of music buyers. So it is a price point for the aficionados not the mainstream, which means that most consumers will never get a proper taste of the ‘complete’ streaming audio experience. Which is why I continue to argue strongly that subsidized subscriptions and cheaper price points are the crucial routes to the mainstream music fan that need pursuing with haste. Spotify, Rhapsody, Deezer, rDio etc are all doing a great job of trying to take premium subscriptions to the masses, but until they can work out a way to get cost-to-consumer price points down, the addressable audience remains a subset of that top 20% of music buyers. And all of their cases are challenged further by an uneven playing field. While all those music services have to charge for mobile access and have some gaps in their catalogues, YouTube provides unlimited access, on all mobile devices, with the world’s largest music catalogue, with video, for absolutely no cost at all to the consumer. As far as streaming goes, there is one rule for YouTube, and another for the rest. Until that anomaly is fixed, the rest will be swimming against the tide. Back in January 2011 in my Midem address I posited that YouTube was digital music’s Killer App with about 25% monthly user penetration across all European adults in 2010, up a few percent from 2009. I also explained that penetration for the under 25s was about double that. The most important point though wasn’t the scale of adoption, but adoption relative to other digital music activities: the next most popular digital music activity was P-to-P (with about half the adoption rate of YouTube) and paid downloads were fourth with a paltry 11%. The key takeaway was that YouTube is succeeding with digital music adoption where other services were not, that YouTube had got something right from a user experience perspective that others hadn’t, and that the industry should do a better job of understanding YouTube’s popularity. 19 months on and the latest Nielsen stats reveal it is still the same story. In some quarters it’s being viewed as a dramatic sea change in the balance of digital power. It isn’t of course, instead it is the successful consolidation of a market leading position by YouTube. Some of this has happened organically but much is down to sheer hard work by YouTube. Since my 2011 Midem speech, YouTube have upped their game strategically, adding functionality and investing heavily in content channels. They’ve done so largely because of the V word…Vevo. Vevo may have its challenges but strategically it was a master stroke by Universal Music: start pull the best music video out of YouTube, put it into an interface that is so deeply integrated into YouTube that it just feels like another YouTube channel to users, and all the while have YouTube deliver the audience. Unsurprisingly YouTube got nervous, particularly when Vevo started ruminating on taking the service out of YouTube entirely and into Facebook. Music matters massively to YouTube: they kick started the online video revolution with short-form video clips, but the momentum firmly shifted to mid-form video providers like Hulu and iPlayer. If you scraped music video away YouTube was left with skateboarding dogs and ‘Charlie Bit My Finger’. Hence YouTube’s investment in features like playlist functionality and $200 million in original content channels. Back when MySpace was beginning to lose ground to Facebook I suggested that MySpace should stop pretending it was a social network anymore and start focusing instead on being a platform for bands and their fans. They didn’t and they ended up losing out on both counts. YouTube, to their credit, have recognized what their strengths are and are playing to them. It’s free. Of course so are Spotify and Pandora et al but YouTube is free and fully on-demand everywhere. If you want Spotify on your iPhone you have to pay £/$/€9.99 to do so, but you can listen to unlimited on demand YouTube music for free on the iPhone, it’s even integrated into iOS (for now at least). In fact nearly two thirds of iPhone users use the iOS YouTube app. It has all the catalogue in the world, and more. Because of the way YouTube entered music content licensing through the back door in the days before its acquisition by Google by selling stakes to the major labels, YouTube has ended up with effectively being given clearance for much much more content than every other licensed music service. Granted YouTube have since implemented a largely effective takedown process, but the fact that YouTube’s catalogue is music uploaded by users means it doesn’t have the same restrictions other services do, such as territory restrictions, music not yet being officially available digitally etc. If there’s a piece of music in the world then the odds are it is on YouTube. Which cannot yet be said of other music services. It just works. YouTube is available wherever you are in the world (in the main), on whatever device you own, and you don’t have to register or sign up. It also has effective discovery tools such as user votes, comments and collaborative filtering, and features like playlists. You can download to keep too. Streaming ripping might not be part of the official YouTube featureset, and recent action has been taken to block one such service, but there are dozens of stream ripping apps out there and they are actively used by a meaningful share of regular YouTube users. It’s an audio visual experience. And of course, YouTube is so much more than music. 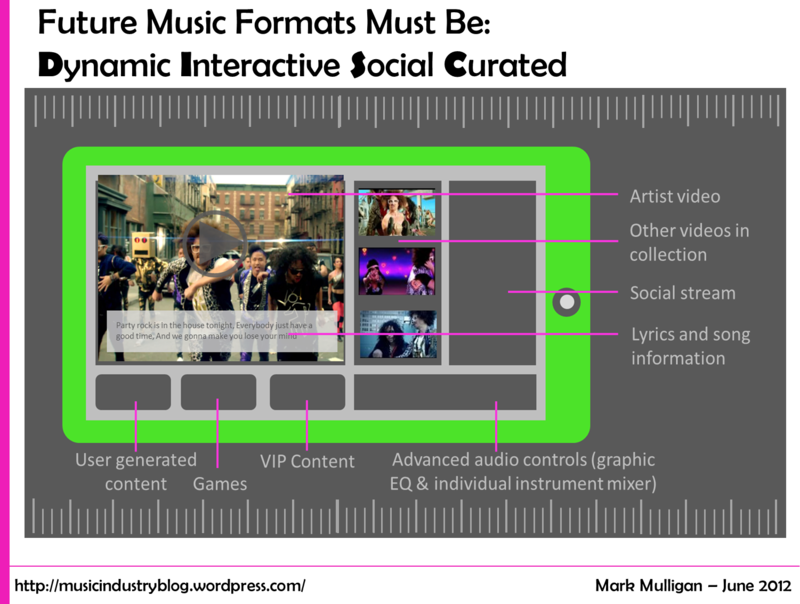 It’s an interactive, social, audio visual experience designed for the digital age. Whilst most other licensed music services have little or no video. It would be pretty hard to compete against that combination of features if it had a 9.99 price tag on it, let alone when all of that is available for free, to all consumers in virtually every territory in the globe. Which brings us to the YouTube dilemma. YouTube is simultaneously the most important licensed digital music service on the planet and one of the biggest challenges to all the other licensed music services. It used to be that YouTube was clearly a discovery mechanism, and indeed it still is, but it is now also firmly a consumption vehicle. YouTube has become both the journey and the destination rolled into one. Of course there are plenty of music fans who use YouTube as a complement to buying music or subscribing and as a means of finding and sampling new artists. But plenty more use it instead of those other options, particularly those young Digital Natives who value free, convenience and ubiquity over audio quality. So the music industry has a difficult balance to maintain, between ensuring the most valuable digital discovery asset it has its disposal remains vibrant, but at the same time ensuring it doesn’t hinder the opportunity for services which generate much higher revenue per user. Meanwhile the music industry can help redress the balance too. YouTube has defined what the mass market digital consumer expects a music service to look and feel like: namely it needs to have video, work seamlessly on all devices (not just 1 extra device at a time), and have social features. YouTube has set the blueprint for the next generation music product, the industry now needs to pick up the baton and transform that prototype into a high quality, premium product. Spotify finally today announced their excessively anticipated US launch. Protracted negotiations with the US labels turned this into one of digital music’s longest running sagas. And although the $100 million of extra funding for label guarantees and advances seems to have successfully assuaged concerns, the labels weren’t just digging in their heels for the sake of it: the US digital music market has a lot at risk in the face of Spotify’s arrrival and of course there are growing doubts about the Freemium model. The label negotiations resulted in the last year in limits being put on the free element of Spotify so that the full unlimited free offering that got Spotify off to such a great start in Europe will only be available to an initial swathe of invited users in the US. Once the invite-user phase is over, free users will get 20 hours a month for 6 months, falling to 10 hours thereafter, along with a 5 plays-per-track limit. The 10 hours / 5 plays mix is clearly intended to make people use Spotify as a complement to other services, not as a replacement. Many listeners simply won’t bump into those restrictions. Those that do though will be the more engaged music aficionados who will either have the will and means to pay for the unlimited premium offering, or will be young kids and those who can’t pay 9.99 a month and they will look elsewhere i.e. to YouTube and to illegal alternatives. There is evidence to suggest that both might have happened in Europe: in March Spotify announced it had 1 million paying subscribers (something that no other premium services has yet achieved). But they also announced that only 6.7 million of their total 10 million subscribers are active. So a third of Spotify’s users either a) just got tired of the novelty of the service b) don’t use it much c) got fed up of the new restrictions and voted with their feet. The likelihood is all three play a role. This all matters because ‘just how free’ Spotify actually is will play a major role in deciding how similar an impact it will have in the US compared to Europe. My take is that Spotify will be successful and will also be disruptive but on balance will be net positive for the US digital music market (see figure). Spotify has that priceless commodity: momentum. More than that, they have mastered the art of maintaining momentum. Most other services would have seen their momentum fizzle out in the face of a yearlong delay to a US launch. Not Spotify. Instead they actually managed to use it to sustain momentum. How? Because of another of Spotify’s core strengths: scarcity. Nothing drives demand like scarcity of supply. 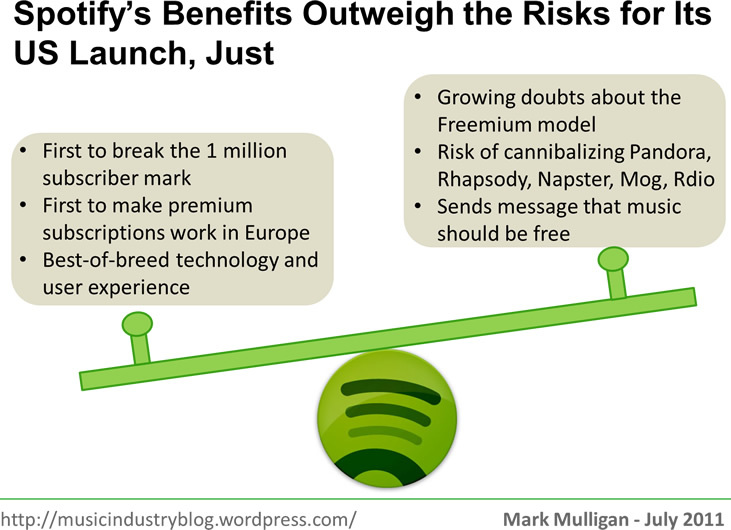 Spotify built its European growth upon a perception of scarcity through its invite-only launch. It is set to do the same in the US, but with additional boon of massive pent up demand from US digital music fans who have had to deal with absolute scarcity this last year. Can Spotify Afford to Be Successful in the US? Until Spotify ramps up its US ad sales business every free user will be proportionately more costly than free European users. But Spotify has learned a lot from its European experience. It has learned which levers to pull to manage growth. I expect Spotify to plan and manage US growth on a ratio-target basis, with free users never being allowed to exceed a certain share of total users. E.g. the 50 million users target touted by an over-zealous Spotify ad sales exec would require 5 million paying subscribers to have signed up. Spotify can’t afford to screw this up. Getting the economics right will be crucial to a successful exit, which has surely got to be the next move. What Do US Music Services Have to Lose? If Spotify can be successful, to what extent will their gains come at the expense of the incumbent services? Rhapsody, Napster, MOG, Rdio et al: the incumbent premium subscription services are right to be nervous: some of them have had years to make the model work yet haven’t managed to reach the 1 million subscriber mark. Rhapsody has announced that it just hit 800,000 paying subscribers, but despite being 150,000 up from the last tally it is only 25,000 more than Q4 2008 which equates to a net gain of just 833 new subscribers a month. Rhapsody’s position is reflective of the overall stagnant nature of the premium subscription sector in the US. Prior to Spotify the European subscription market didn’t even get out of the starting blocks, let alone have the chance to become stagnant. So the US subscription services have good reason to fear Spotify as a premium player. With the restrictions on free plays I don’t anticipate them losing many subscribers to Spotify Free though. Pandora: whatever Pandora’s Tim Westergren says, Pandora will see some of its users defect to Spotify. Yes it is a different value proposition and yes there are many users for whom Spotify will be no alternative. But there will be those who simply tolerate not being able to listen to exactly what they want rather than perceiving it as part of the value proposition. Those users, for whom free is the key driver, will be at risk. Once again though, the limits on Spotify’s free tier should contain this threat to some degree. So it becomes clear that the record labels have a done a decent job of engineering Spotify’s licenses in such a way that the incumbent US services face minimum competitive risk. One hopes that this doesn’t also mean that Spotify’s wings have been clipped so far that it won’t be able to truly shine in the US. Because Spotify has done a huge amount in Europe: bringing digital music to the mainstream and freeing it from the chains of the iPod. I actually hope that Pandora and Rhapsody et al do feel some serious competitive pressure, so that they can focus on what they need to do better and then lean on the labels to give them the licenses to do so. Because the best way the labels can drive the market is by using licensing to empower services with more functionality rather than using it to restrict disruptive threats.